Hi everyone! As a follow-up to the launch of Unstock (Envato’s Newest Photo Collection) we wanted to run a contest so all PhotoDune authors have a chance at being part of this new collection. We’ve put up $5,000 in prize money for the best new photos selected for the Unstock Collection. 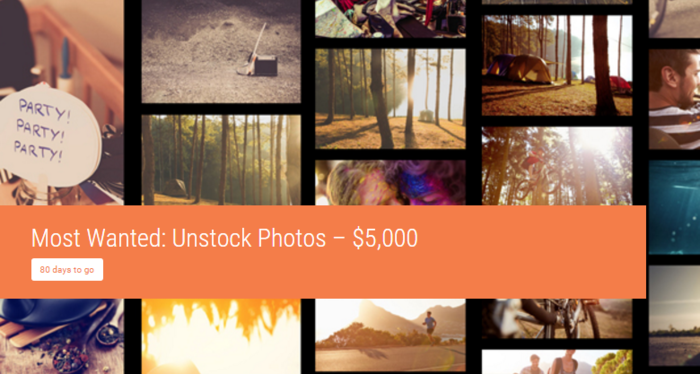 Each photo selected for Unstock will win $5 per photo. We’re also running a “Best Photo” contest where all photos uploaded to the marketplace between November 5th and January 28th will have a chance to win awesome bonus prizes! Read the full announcement here . Except the part that those images will be licensed at a $5 flat fee. That sounds rather low compared to all the other collections that started focusing on "authentic images". How did you determine the value of those images to be that low in comparison to the competition? And if I understand it correctly, as the author I'd be only getting 36% of that license fee in the end, right? So that's $1.80 per image sold. That's about three times more than I get for generic microstock images on average per download. But for images that typically don't have the potential for a similar number of sales because of their more unique nature. Doesn't sound like a good deal to me, even if I'd get $5 per image in advance. So what are the reasons for me to become part of this? $5 - that's a joke. I'm out. $5!!! You guys wanna humiliate photographers? Wow, those are big unprotected images. They might as well call it free unstock. Another crazy idea that's bad for contributors. I knew they didn't care about us but this will cost them as well, what are they thinking? Well you all got what you wanted! Bad Behavior has blocked 58514 access attempts in the last 7 days.